They say you never forget your first, well this was mine. 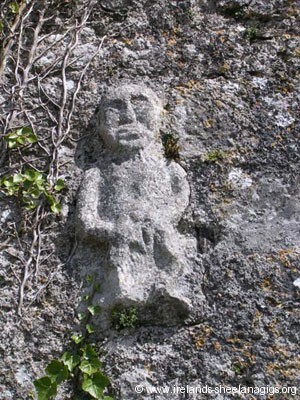 I used to pass by this site a couple of times a year to go caving in Co. Clare and occasionally stop to see her. And I thought there weren’t any others….how wrong can you be! 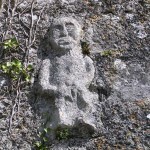 The sheela is just over the south door but is getting quite worn now. On the rear of the church wall is a Cross of Lorraine and, a few steps away, the stump of a round tower.